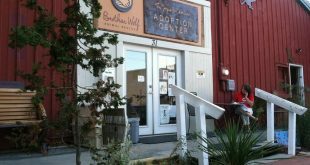 The Petco Foundation awarded Brother Wolf a $25,000 grant. With those funds, Brother Wolf purchased a 2016 Ram ProMaster 2500 HI Roof LWB van. 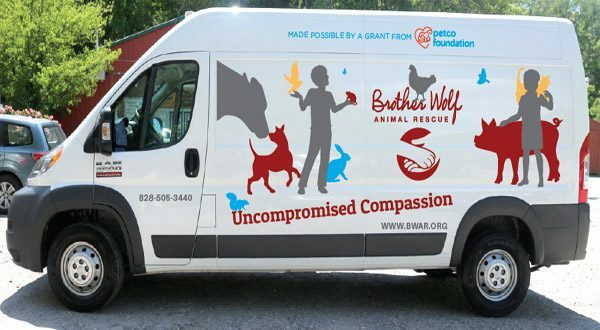 Already in use, the van assists Brother Wolf with: the transportation of animals to shelters in the North, local veterinary appointments and area adoption events; field operations; Trap-Vaccinate-Neuter-Return initiatives; and the delivery of donated animal food to its five chapters. 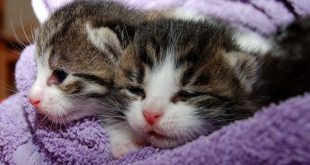 “We are extremely grateful to the Petco Foundation. 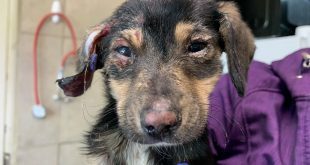 This will help us continue and expand upon the life-saving work we undertake on a daily basis,” said Brother Wolf’s Grant Writer Sally Newman. Brother Wolf Animal Rescue greatly appreciates the support of the Petco Foundation. I’m a Petco shopper. I really love their repeat delivery! I get all of my dog’s food shipped right to my front door. Every month, like clockwork, four bags arrive for my two Great Danes. I never have to worry about running out! It’s super convenient! I’m very happy to hear that they support Brother Wolf animal rescue. It’s a wonderful organization, right here in Asheville! Keep up the good work, Petco! Now, I’m even more happy to shop with you!